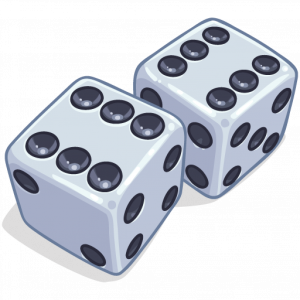 Dice games follow the general keys to success in the gambling world. It’s an easy concept to grasp and it’s a lot of fun. One of the special things about the dice games are that you can bet on long shots, that means bets with a low probability but a great pay out! The procedure is the same as usual. You exchange your CS:GO or some other in-game items / skins for credits at the game providers site. These credits can then be used to gamble. The dice games feature that enables you to chose how much risk you want to take is brilliant. Maybe you are looking for that unique Knife Karambit but only want to bet small. Then chose a high digit dice. The dice games are not unique for CS:GO, they also had huge success in the cryptocurrency world where different bitcoin gambling sites have offered dice games. SatoshiDice & MegaDice are some of them. Its important to know that the house takes a margin because they provide these games. So even if you can win big you should not expect to. Most of the times you will lose some credits.